We are delighted to welcome a bestselling author whom critics have called "A master of suspense," Hank Phillippi Ryan. Her 10 mysteries have garnered five Agathas, two Anthonys, the Daphe and Mary Higgins Clark Award, among others. But Hank also has a "day job" -- she is the on-air investigative reporter for Boston's WHDH-TV, winning 34 EMMYs! My first rogue moment was as at age four. As a little girl, all I wanted to be was a cowboy. I wore my cowboy hat, according to my mom, every moment of every day, and to sleep, too, even while the other little girls in my suburban Chicago neighborhood were playing with Terry Lee dolls and E-Z Bake ovens. I’d rather be riding my “horse”—which, of course, was imaginary. I went rogue in junior high, too. Just ask my classmates. The ones who voted me not “Most popular” or ”Most likely to succeed,’ but “Most individual.” What an upsetting thing for 14-year-old! They put my picture in the school paper upside down to prove how geeky I was. In college I went rogue by —now it can be told —hardly ever going to class. Except for English classes. Instead, I stayed in my dorm room and read--F. Scott Fitzgerald, and Shakespeare, and Spenser, Edith Wharton and Eudora Welty, and Thomas Wolfe. I don’t regret it. After college I went rogue by going into politics. I worked as a campaign stuffer in various political campaigns. Exciting and world-changing and fast-paced—but, I have to say, no candidate I worked for ever won an election. Time to go rogue again. In 1970, I walked into the biggest radio station in my home town of Indianapolis, and announced ”I’m here to apply for a job as a reporter.” The news director kindly asked me where the last radio station I’d worked was. And I had to admit I’ve never worked at a radio station. Or at a TV station or a newspaper or magazine or any other type of job which required interviewing writing or producing a story. Or any kind of journalism at all. The next day I had my first job in broadcasting. That was in 1970, can you believe it? 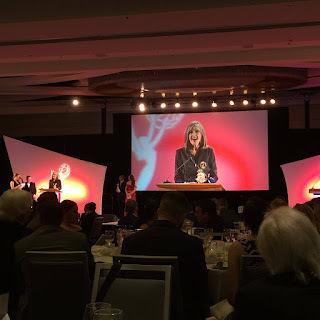 And I have been writing ever since—for radio, for Rolling Stone Magazine, and since 1975, as a television reporter. But 12 years ago, at age 55, I went rogue again. I had a good idea for a novel, and I was relentlessly fanatically compelled to write it. That became Prime Time, and it won the Agatha Award for best first mystery. Nine books later, I went rogue again. 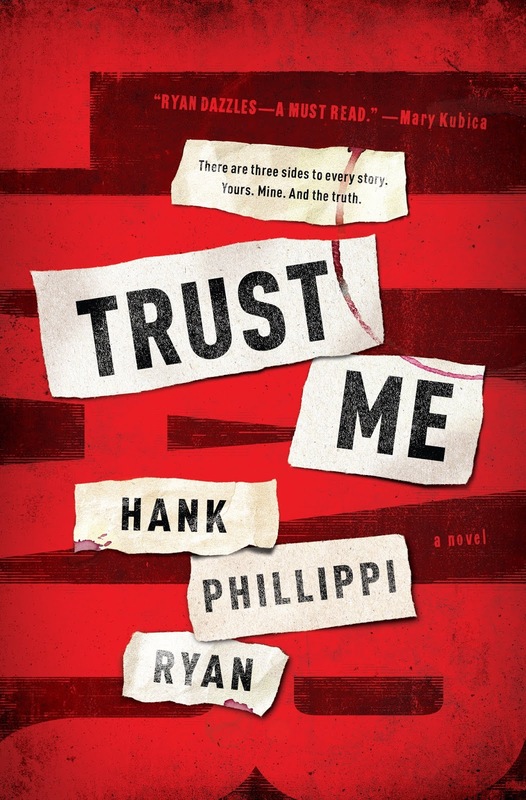 My first psychological standalone, TRUST ME, comes out this month. It’s is the story of two strong women, facing off in a high-stakes manipulative psychological cat and mouse game to discover the truth – – if they can – – about a gruesome murder. But which woman is the cat, and which one is the mouse? I dare you to find the liar. As many of you know, going rogue can be life-changing. Every time I’ve done it, that’s what happens! Trust me, I hope it happens again for this new book. What are the times that you have gone rogue? How has that worked for you? Cannot wait to hear. 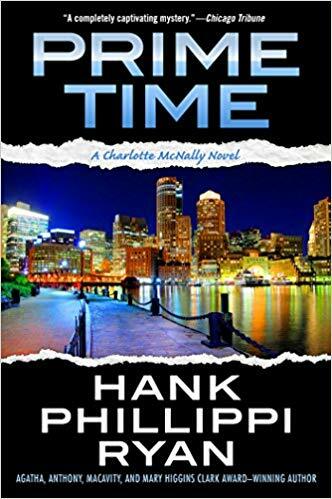 We want to thank YOU, Hank, for telling us about your "Rogue" moments and your great novels. Can't wait to read TRUST ME! Now we hope our readers will leave a comment below about going rogue or visit our Facebook page (link at the top left) to continue the conversation. Thanks so much for dropping by. Can't wait to read TRUST ME. Yes, I too love how Hank got that first media job. I had a similar experience in San Francisco when I applied to be a reporter at a TV station. I got the same response of not having enough "relevant experience." So, what was the only job I could get then? Being the weather girl, of course. After 4 years writing temperatures on a glass board, I finally was "allowed" to be a reporter and anchor. 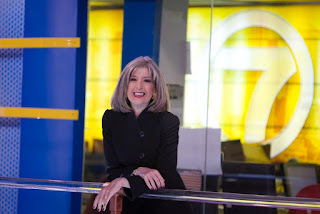 Now I believe some 60% of people in newsrooms are women - though hardly any are as talented and honored as our guest blogger today! Oh, thank you! Oh dear Robin, I’m sure you have many Rogue moments of your own, sister! And I am so eager for you to read trust me! Crossing fingers you love it! I don't doubt that I will, Hank! I laughed out loud at some of these rogue moments. Especially the one about "most interesting." You still are the most interesting! Congratulations on the launch of TRUST ME! You are a beautiful Rogue in all ways, Hank -- author! reporter! human being! I love all of your adventures, and the way you tell us about them. Brava, and thank you! So many great women have found their path by having the courage to Go Rogue! So happy you are one of them. I am now inspired to go rogue, again, and maybe write the opening to a new standalone idea I've been toying with. Thank you! !